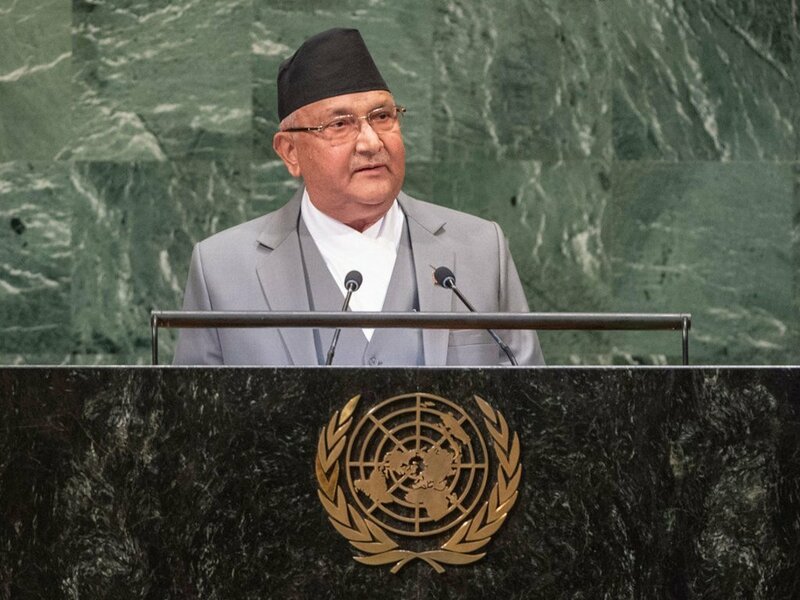 Prime Minister K. P. Sharma Oli of the Federal Democratic Republic of Nepal addresses the seventy-third session of the United Nations General Assembly. “Reaching furthest behind first is not a luxury. It is not a charity either. It is an international obligation, a duty and social responsibility,” KP Sharma Oli, the Prime Minister of Nepal, told leaders gathered at the Assembly’s annual debate. In his address, Prime Minister Oli also highlighted the growing threat, particularly for mountain nations, such as his own, as well as for small islands from the impacts of climate change. Outlining the possibilities offered by the younger generation, the Nepali leader called for inculcating them with the civil and moral values so that they become a force for harmony and tolerance in society. He also highlighted the avenues opened by advances in technology but cautioned that that digital dividends are unevenly distributed and that the digital divide is widening. “The developing countries, especially least developed countries (LDCs), are struggling to cope,” he said, calling for easy access to affordable technology and free the barriers for their transfer. In conclusion, the Prime Minister of Nepal reiterated his country’s support for UN peace operations and urged greater representation of troop contributing nations in senior peacekeeping positions. 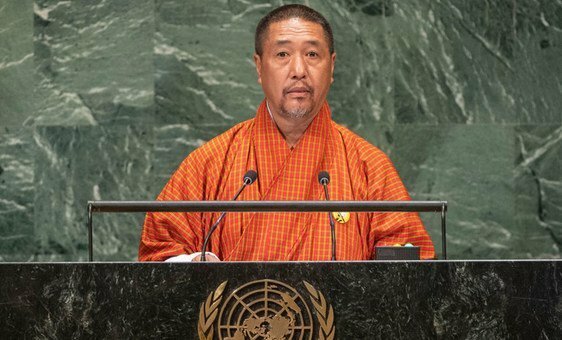 In the same vein, Lyonpo Tshering Wangchuk, Chief Justice and Acting Head of Government of Bhutan informed world leaders of broadening and deepening its engagement in UN peacekeeping operations, since it started contributing its troops to serve as peacekeepers under the blue flag. Mr. Wangchuk also spoke of the impacts his country is facing because of climate change. “Action is needed at international, regional, national and local levels to combat this menace,” he stated, noting that in addition to the $330 billion that was lost globally to climate change, its effects could push some 100 million people into extreme poverty by 2030. Fighting climate change, including through strong support for the landmark Paris Agreement, “is the international community’s moral responsibility to the millions of people around the world, especially those in the developing world who are disproportionately affected,” added the Chief Justice.